Chantilly, VA – December 15, 2015 – Aimpoint has announced the addition of a new line of pre-mounted Micro T-2 and Micro H-2 sights, that are immediately ready for use on AR-15 and M4 Carbine style rifles. These sights come equipped with Aimpoint’s Lever Release Picatinny (LRP) Mount, and a 39mm spacer that provides absolute co-witness with backup iron sights on AR15 and M4 Carbine style rifles. The rail pressure on the LRP is fully adjustable, and the mount allows return-to-zero replacement if the sight is removed and replaced in the same position on the same rifle. The 39mm spacer can be removed in order to lower the optical axis of the sight for use on shotguns or submachineguns. 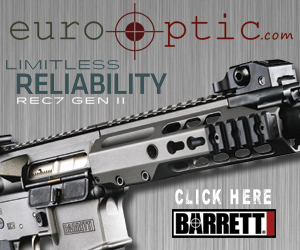 For more information on Aimpoint or the Micro AR-ready sights, visit the company’s webpage at: www.aimpoint.com.